Pupil Premium is funding given by the government to support statistically disadvantaged children in schools. Nationally children entitled to the Pupil Premium attain less well than other children at Key Stage 1, entering the school behind their peers. However at Stag Lane Juniors the children entitled to Pupil Premium make good progress in all areas (reading, writing and maths). In the four years at the school Pupil Premium children generally narrow the gap between them and their peers. In 2016 the KS2 tests changed, becoming harder for pupils in line with the new curriculum. Please look at the performance page on our website to find out more information about our results last year and this year. Attainment of Disadvantaged Pupils Compared to Other Pupils, Reading, Writing and Maths combined. Previous year's results in brackets. Please note that the percentages will change when pupils are disapplied. Attainment for Disadvantaged was below national. 4 of the 22 disadvantaged pupils Special Educational Needs and 2 had high needs requiring an Education Health Plan. Attainment for Disadvantaged Pupils at Expected and Higher Standard is above national compared to ALL pupils. However, the school is below the national when comparing the disadvantaged pupils in both areas. Attainment for Disadvantaged Pupils in writing was above national but lower at the higher standard but lower at higher standard. Progress for this group was also below national. This is partly due to the reduced number of pupils in this group and the fact that 4 disadvantaged pupils were also SEN . The attainment in Maths for Disadvantaged Pupils was above national at expected and marginally at the higher standard. Other Pupil Premium Projects- please look at the impact report below for more details. In addition, children who were offered support through projects, benefited by developing self-esteem and confidence. 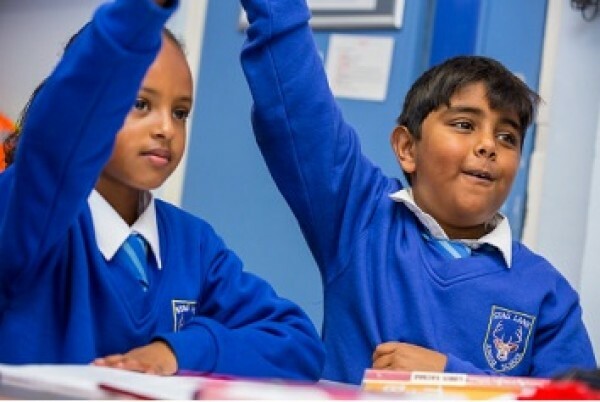 By the end of the year they contributed readily to class discussions, took more responsibility for their learning and participated in activities to help others, such as reading with younger pupils. Additionally there were no exclusions for unacceptable behaviour last year. Children who attended school trips, especially the Norfolk Residential Trip for Y6 pupils, reported how much they have gained from the experience. They became more confident and independent. The Governing Body receives detailed reports about the impact of the funding on Pupil Premium children. Please feel free to contact members of the Governing Body if you require more information.